Your generous donations through e-pledge, payroll deduction, special events and individual donations make our communities healthier and stronger! Head to the "Donate Today" page to support community health and social service organizations throughout Alaska. 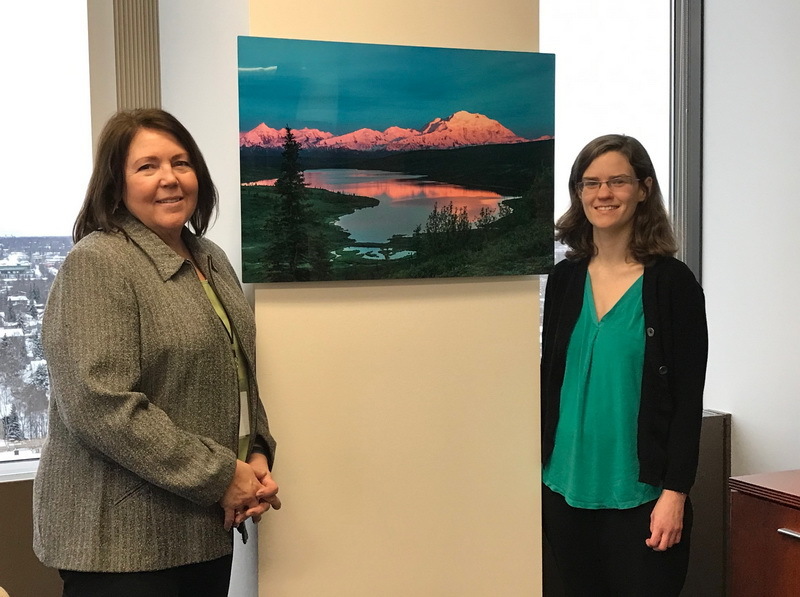 Patricia Haines from the Department of Law/Southcentral is the winner of the Todd Salat metal print “Denali Wonder”. Julie Anderson, Commissioner for the Department of Commerce, Community & Economic Development presented the print to Patricia. Special thanks to Todd Salat for generously donating this beautiful print on metal and for your longstanding support of the SHARE Campaign! So far we’ve received donations of $241,667 or 60% of our goal of $400,000. Thank you for your generous contribution!